The West Main Street improvement project in Laurens is done. LAURENS — In Pocahontas County, the Laurens Public Library is looking to add some melodies for its patrons to enjoy. Library staff are in the process of raising funds to create a music garden, which will be located just outside the entrance of the library. Glenda Mulder, the library’s director, said the instruments are open for anyone to use. The library hopes to install the instruments in the summer. 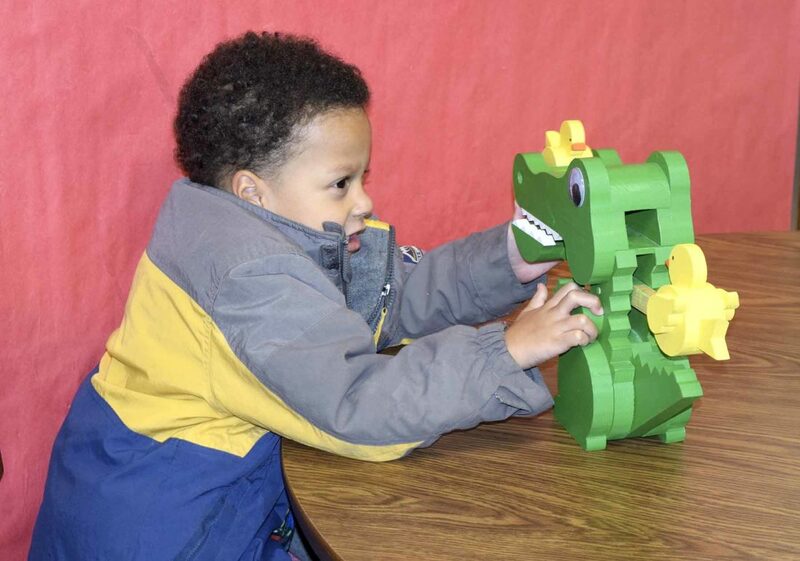 Sebastian Guice-Mandel, 4, of Laurens, plays with a toy alligator at the Laurens Public Library. The library is in the process of raising money for a musical instrument garden that will be available for anyone to use. The local Kiwanis group announced that it would sponsor one of the instruments; another instrument will be sponsored by a person in memory of a couple who passed away. “We’re pretty excited,” Mulder said. In addition to sponsorships, the director said others have stepped up to help pay for the instruments. 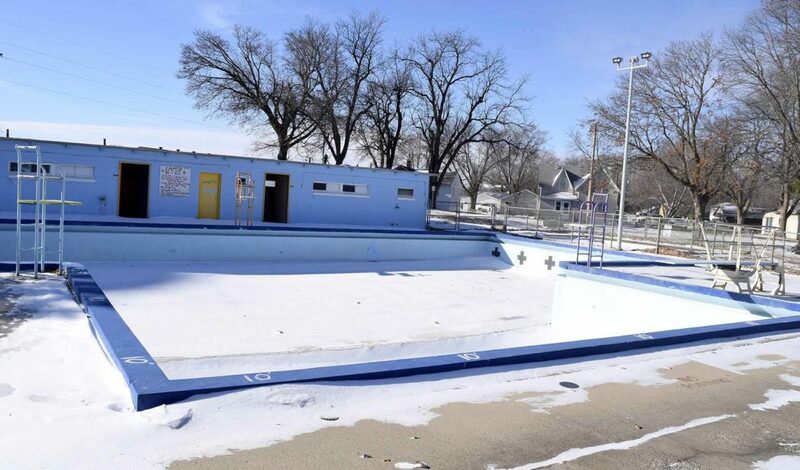 The Laurens city pool sits empty and filled with snow during the winter months. An ongoing project seeks to remodel the pool. 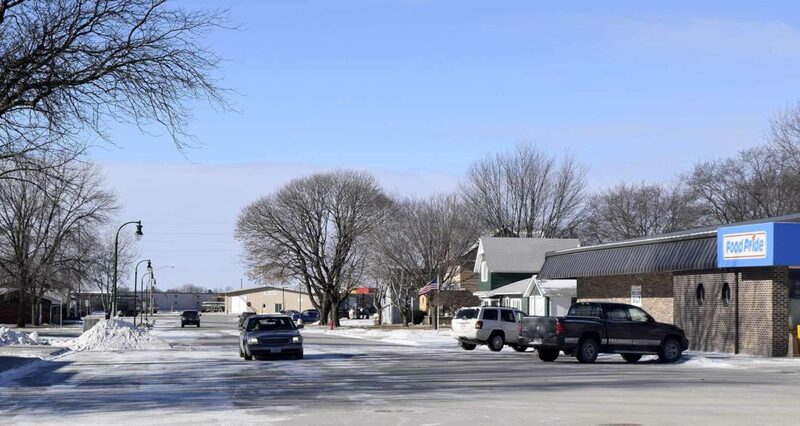 Funds have also been raised with the help of a pancake supper last fall, as well as another supper coming up later this month. There will be six instruments in the garden: contrabass chimes, drums, a swirl, an imbarimba, a lilypad and a Pegasus. In addition to the music garden, the library has been busy working with students at the Laurens-Marathon Community School.